Today’s guest are Mark Larsen, director at Cask, LLC, and David Cheseborough, president, AFEI. 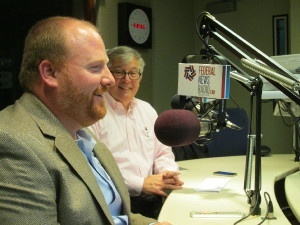 Both have extensive experience with federal information technology projects and are in the studio to talk about FITARA, an initiative to improve transparency and efficiency of federal IT projects. Virginia Representative Gerry Connelly says these grades are meant to be a juridical, not prescriptive exercise. Tony Scott indicates these grades are an indication of where we are today. The biggest room in the world is the room for improvement, and this observation is apparent with the grades that have been released.